Those of you who know me, know I love entering competitions. Well, I'm here today to tell you about a fabulous competition run by Tesco Baby through their Tesco Baby Event, and also about some fab offers that Tesco are running at the moment. The Tesco Baby Event gives you the best prices and great bargains on a range of baby products, in fact, everything you need for your baby and toddler. I remember when my son was little I tried to feed him the best food, and in my eyes, this was organic baby food. When I didn't make it myself I would have some pouches and jars in the cupboard as a stand by when I needed something convenient and quick. Often organic baby food isn't the cheapest option so I would stock up when Tesco had offers on, like in this Tesco Baby Event. The cost of nappies and wipes also add up, in fact, it's not cheap to raise a baby, so as they say "every little helps". With brilliant advice and offers on a wide range of baby nutrition, organic baby food, and organic baby products including half price offers, you would be foolish not to check out the Tesco Baby Event online or in store, if you have little ones. As a competition lover myself, I always keep an eye out for Tesco competitions and today I have a scorcher for my fabulous readers! How would you like to win a holiday to Florida?! Tesco Baby Club in conjunction with Hipp Organic are giving you a wonderful chance to win a 7 night family holiday to Walt Disney World, Florida. 1. Via Twitter Follow @TescoBabyClub on Twitter. You must be a follower to enter the prize draw so we can DM (direct message) you if you win! You must also reside in the UK. To enter, simply follow us then tweet or RT (retweet) #TescoBabyEvent and link http://bit.ly/1kveIqb – if you don’t include these, your entry won’t be valid. 2. Via email Send your name, address and daytime phone number to competitions@tesco-baby.co.uk with ‘Dream holiday’ in the subject line. One winner will be picked at random after the closing date of 11.59pm, 3 February 2014, and contacted via DM on Twitter or by email within three working days. 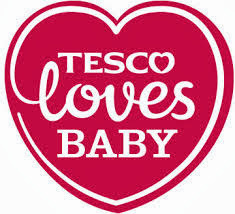 What do you think of the Tesco Baby Event? Have you been to Florida? Have you ever won a holiday? Tell me!